Guide to Install GApps on your Custom Android ROMs? Many developers and Android users flash custom ROMs like CyanogenMod on their devices due to their ability of immense customizations and compatibility. Custom ROMs are flashed by a rooted phone usually, which gives you administrative privilege but in turn deprives services from Google. This happens because of the company patents, that’s why the services do not come by default in the custom ROMs. Basic services are present like Email and Browser but Google Apps package has to be installed manually. GApps or Google Applications is an unofficial package distributed in different forms. These apps work hand in hand by sharing information among themselves to give us a seamless experience. Google Apps package comes pre-installed with almost all Android devices. 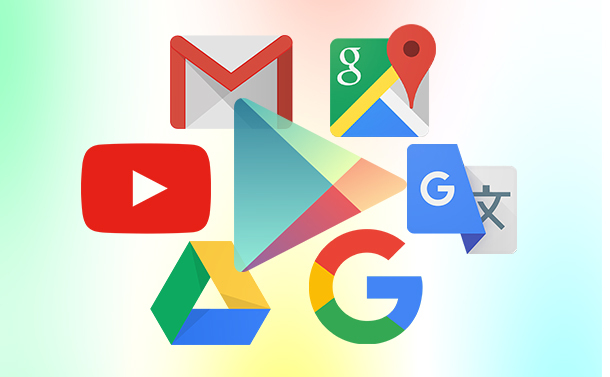 GApps Android has services like Play Store, Gmail, Play music,Maps etc. What are Custom Android ROMs? Custom Android ROMs are the alternative firmware for your Android device. Custom ROMs are developed by the developers as a part of Android Open Source Program(AOSP). Android is an open source project and it gives legal rights to the developers to develop their own version of Android. Custom ROMs are known for their beautiful user experience which your stock Android deprives you off. Custom ROMs gives you administrative privileges that allows you to remove undesirable in-built apps which saves a lot of memory. Some of the most popular Custom Android ROMs are CyanogenMod, Paranoid Android and Cataclysm. These Custom ROMs require Google Apps Package to provide Google services just like Stock Android. Read our Previous Blog, All About Android for better understanding of Custom Android ROMs and much more. Before starting the process, it is highly advised to take a full backup of your entire data. Step1: To install GApps manually, you need to download the Google Apps package by clicking here. Choose your Android version and desired Google Apps package. Save it somewhere you can track easily from bootloader. Step 2: Next step is to navigate through the recovery mode using combination of buttons on your device. On majority of devices press Volume Button + Power button continuously for 5 seconds. If in case it does not work, look for a combination here. Step 3: Click on install. After selecting install, navigate to install zip from sd card using volume buttons. Step 4: Now you need to go to the folder in which you downloaded the Google Apps zip and tap on the zip. Step 5: The final step is to flash the file. Grant confirmation if it asks for one. See Also: How to Give Your Smartphone an Android P Makeover? Step 6: It is advised to clear cache data when you are in recovery mode. Step 7: Now reboot your phone. As you reboot your phone, you will see GApps Android on your Custom Android ROM just like a stock Android. We hope this blog might have helped you to get latest Google Apps package and get it for your Custom Android ROMs.